German shipping firm Hapag-Lloyd currently has no plans for marine fuel scrubber installations or retrofitting its fleet’s engines to burn LNG in order to meet the 2020 marine fuel regulation. 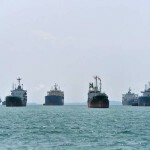 The regulation, which will commence on 1 January 2020 requires vessels to burn 0.5pc sulphur bunkers, down from the current limit of 3.5pc, or else use abatement technology to reduce their sulphur oxide emissions. Hapag-Lloyd will meet the regulation by burning 0.5pc sulphur marine fuel, the company told Argus. 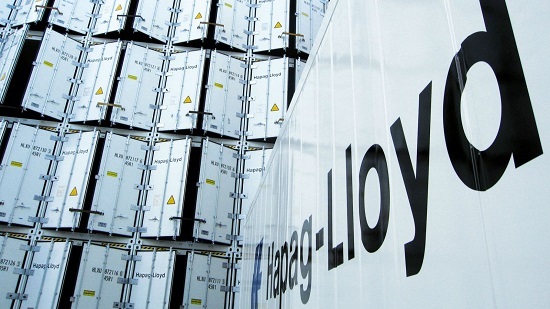 Hapag-Lloyd burned 671,000t of heavy bunker fuel and 132,000t of marine distillates in the first quarter of the year. Total bunker consumption declined to 803,000t in the first quarter from 821,000t the same period in 2016. The decline was attributed to the use of larger and more efficient vessels. But the cost of heavy bunker fuel the company purchased increased sharply to $300/t in first quarter 2017 from $178/t in first quarter 2016. Hapag-Lloyd used trim optimization software on 86 vessels in 2016 – 60 owned and 26 chartered. The software calculates the hydrodynamic resistance for any floating position of the ship considering wave breaking resistance, frictional resistance and viscous pressure resistance. The software allows for 1.5pc savings in main engine fuel consumption. 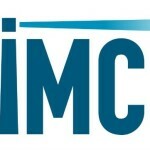 The International Maritime Organization (IMO)’s ballast water convention will enter into force on 8 September. 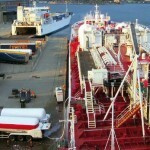 Under the convention, ballast water will need to be treated before releasing it. 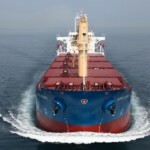 Hapag-Lloyd’s vessels are already all compliant with the ballast water convention. 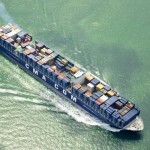 The shipper operates 172 container ships. Of these it owns 74 and charters 98. Three of the chartered vessels are on a long term lease with a purchase option. Hapag-Lloyd has been seeking approvals to merge with the UAE-based United Arab Shipping Company (UASC) since the second half of 2016. 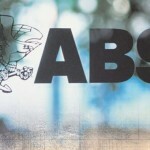 The merger is expected to take place by the end of May. With the merger, Hapag-Lloyd will add 58 containerships to its fleet. Hapag-Lloyd has no vessels on order, but UASC has two 15,000 twenty-foot equivalent unit (TEU) vessels scheduled for delivery the second half of 2017. “We believe that due to less new ordering activity, [vessel] supply and demand should move closer to each other again over the next one to two years. In 2016, for the first time since 2010, demand growth was bigger than supply growth again,” Reiner Horn, a spokesperson for Hapag-Lloyd told Argus.